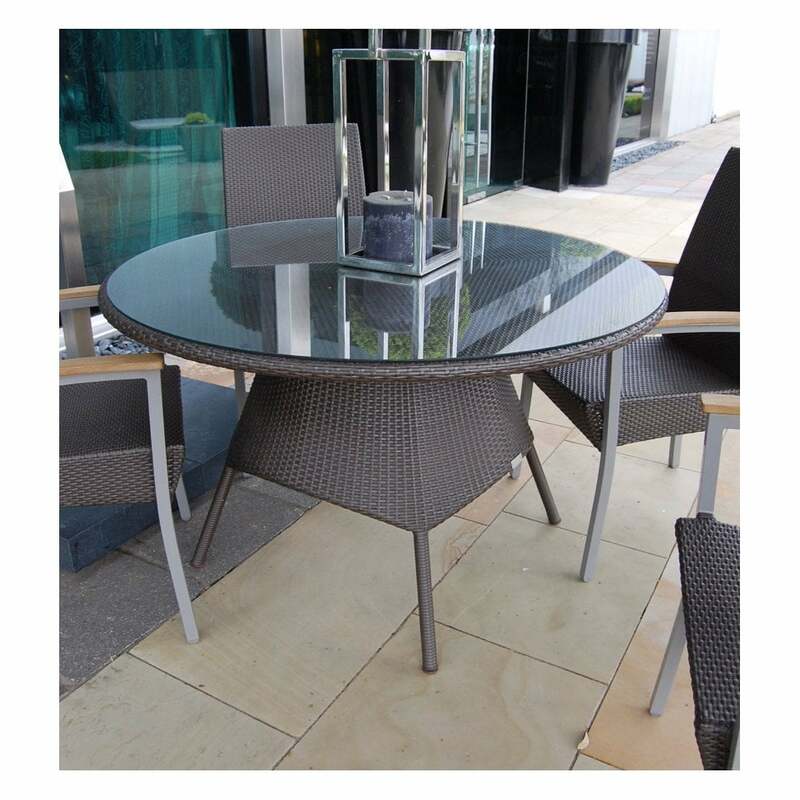 Beautiful quality outdoor dining table from Rausch, with glass top. We have several matching dining armchairs to compliment the table, which is made to an exceptional quality finish. Complete with glass top. In stock in two colours, light brown or mocca.